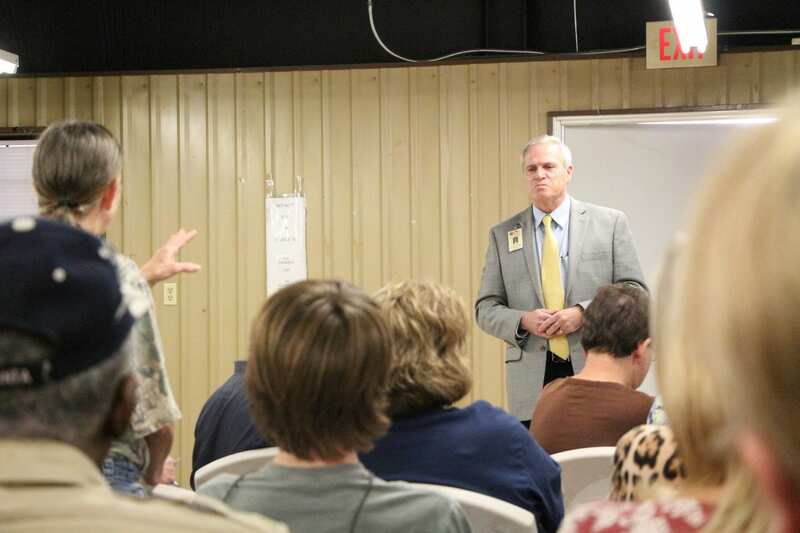 Bossier Schools Superintendent Scott Smith takes a question from a Plain Dealing resident at a town hall meeting last week. The town of Plain Dealing is rallying behind its community schools. Bossier Parish Schools is exploring ways to reconfigure their two school campuses, which could include closing or consolidating schools. Recent discussions have some residents wondering what exactly will happen. A town hall meeting was held with Bossier Schools Superintendent Scott Smith and School Board member Bill Lott. Both told the standing room only crowd that there had been no vote by the school board to close any schools in Plain Dealing. That report shows about 360 students currently attending Plain Dealing schools. The demographics, which Smith pointed out could be wrong, says that number will drop to a little over 140 for elementary through high school over the next 10 years. The demographer will present updated numbers to the building and grounds committee Tuesday, Nov. 15, at 4:30 p.m. at the Bossier Instructional Center. Smith said there are many things to consider — the cost and cost savings, school curriculums, maintenance, planning and development. He encouraged residents to attend the committee meetings and board meetings to voice their opinions. 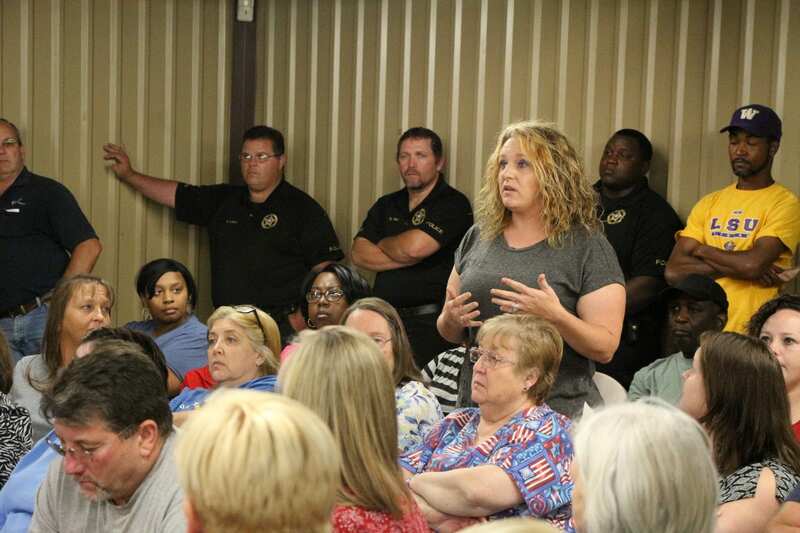 Plain Dealing resident Stephanie Gafford asks a question during the town hall meeting last week. Gafford has two children enrolled in Plain Dealing schools and is fighting to keep their schools open and on separate campuses. Elizabeth Foster said Plain Dealing schools have given her son a great education. Smith said the final decision will ultimately come from the school board. This was the first town hall meeting called for Plain Dealing. Smith said he would like to go back once more information has been gathered. Sheila Dupree felt there was viable dialogue, but didn’t get all the answers to her questions.